P3 also specialises in custom publishing for a range of schools and Universities throughout Hong Kong including Hong Kong University, the Canadian International School of Hong Kong, Kennedy School and others. We produce marketing collateral including brochures, pamphlets, newsletters, prospectuses, annual reports, and much more. 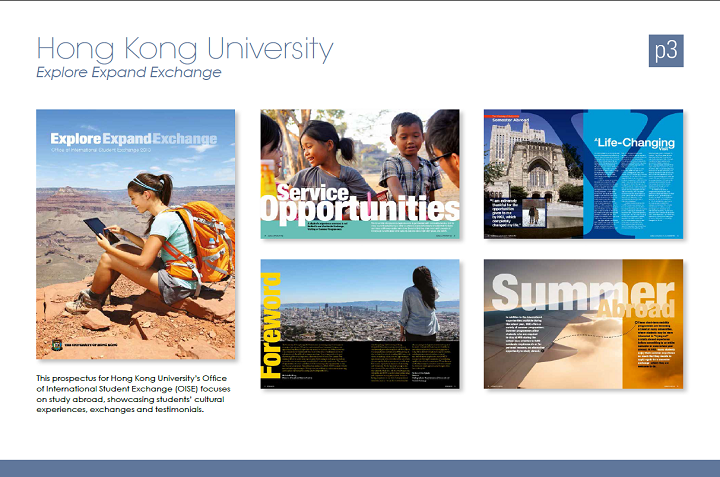 This prospectus for Hong Kong University’s Office of International Student Exchange (OISE) focuses on study abroad, showcasing students’ cultural experiences, exchanges and testimonials. 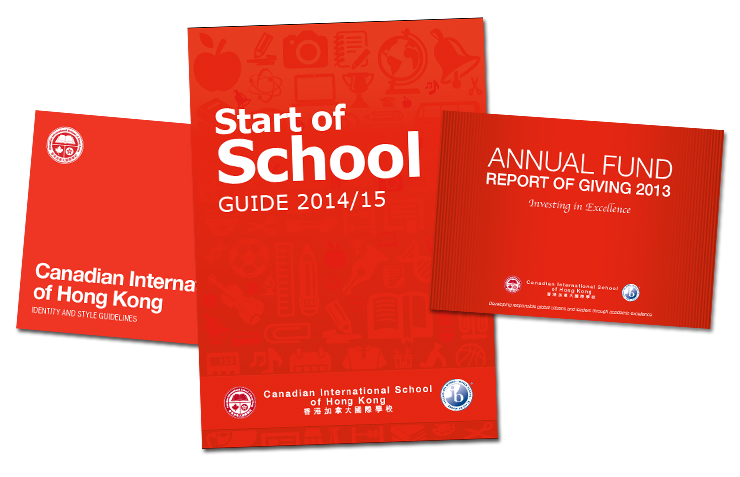 P3 recently produced a range of marketing collateral for Canadian International School of Hong Kong including various Activity Booklets, the Annual Fund Report, an updated Identity and Style Guide, the Start of School Guide, as well as Premium Bags including an insulated Lunch Bag, Tote Bag and Recyclable Bag.